See the type of work we are doing and where. 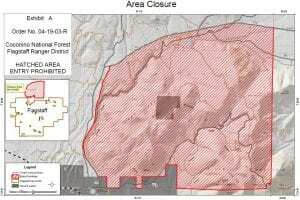 FWPP information on project operations and closures from the Forest Service. 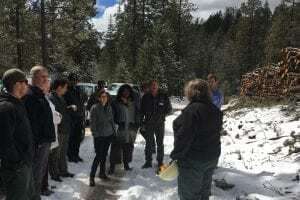 News articles and other related stories about the Flagstaff Watershed Protection Project. Videos related to the Flagstaff Watershed Protection Project. 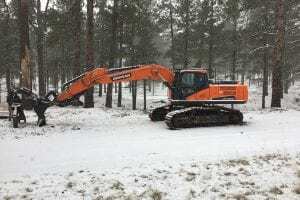 In November 2012, Flagstaff voters approved a $10M bond to support the Flagstaff Watershed Protection Project – a partnership effort between the State, City and Coconino National Forest to help reduce the risk of devastating wildfire and post-fire flooding in the Rio de Flag and Lake Mary watersheds. FWPP Progress Update_CityScape_Winter 2019Download Check out what we've been up to! For more events click here! 10,500 acres on federal land, 1,000 acres on state land and 4,000 acres on city land. Small to medium diameter trees. Treatments will progress continuously for a period of 8 to 10 years. In November 2012, Flagstaff residents voted to approve funding up to $10 million.